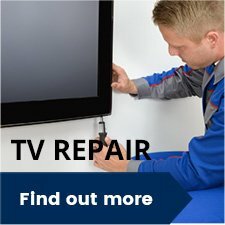 Electronic World have built up an excellent reputation for selling high quality graded TVs at low prices whilst providing superb customer service. Don't just take our word for it, read some of the outstanding feedback from our customers. Would definitely recommend.Bought a 40 inch Samsung Smart t.v. excellent quality. Great price unbeatable value. Thoroughly recommend the shop and the salesman. The salesman Gary was extremely helpful without being pushy, he explained all the features and demonstrated all the features fully giving good advice. Splendid variety of TVs on reasonable prices combined with top-notch customer service. My wife and I have purchased two excellent TV'S at massive reductions. Absolute value for money! I have now bought 3 tv's from these guys, good knowledgeable staff with a good no nonsense service. Used these guys for years. 6 TVs and counting, all without a single issue. Recommended them to many and they are now regular customers. Straight talking gents, no pressure sales and quality at a fantastic price. You would be mad not to go have a look. Thanks tv looks great works perfectly and to top it of 300 quid less than retail. this is now the 4th tv I've bought from here (1st one was over 8yrs ago & still going strong) all working well still. Gary gave us excellent customer service, can't fault it. AND an absolute bargain!Thank you! Have only ever used electronic world. Plenty of choice great service outstanding prices . Good location. No complaints about this company. Cracking deals at bargain prices. Great products of a very high quality. This is my second purchase from them - the previous was also excellent and also lasted perfectly fine for many years and only had to be replaced due to accidental damage by me. I shopped around and they had the best prices too. Gary looked after me, he was brilliant spending time showing me all the different models to suit my budget. I’d highly recommend this company. Thank you. Customer service was also very good both by telephone and email. My experience was therefore good in all respects and have no qualms giving my full recommendation. Absolutely fantastic TV's at great prices. Electronic World offer the best cheap TV deals in the UK, with a fantastic selection of high-quality TVs at the best possible prices. Electronic World is the cheapest place for TVs; our deals enable our customers to purchase the latest TV technology from the world's top brands at an affordable price, so they can have the best of both worlds. Why Are Our TVs Are So Cheap? As the home of cheap TVs, Electronic World are proud to be one of the largest TV retailers of end-of-line, surplus, ex-display, and customer return TVs, as well as a variety of cheap TV accessories for leading brands like Samsung. 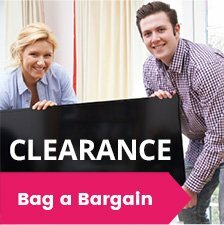 With over 26 years’ experience in the electronics industry as TV dealers in the UK, we have been buying large quantities of graded televisions from large high street chains for many years now and have built up a strong reputation as a trusted provider of the very best cheap TV deals across the UK. Our power to buy this graded LED, Smart, 3D and 4K TV stock in bulk means we are able to pass on unbelievable cheap TV deals to our customers, so they can make huge savings whilst vastly improving their viewing experience. At Electronic World, you can buy the same types of TV as you would find on the high street at incredibly low prices, allowing you to enjoy all of your favourite Freeview TV, BBC iPlayer and films. We stock models from all of the leading household brands too, including cheap Samsung TVs, cheap Panasonic TVs, cheap Sony TVs, and Cheap LG TVs. Our range of HD TVs also includes the latest, cutting-edge technologies, including Smart TVs, 3D TVs, such as the Toshiba 3D TVs, plasma TVs, state of the art 4K TVs and the latest range of LED Smart 3D TVs too. We also offer a wide range of Smart TV deals and 4K TV deals, so that you can keep up-to-date with all the latest TV technologies, like surround sound, true-to-life picture quality, 4K LED and Smart HD, without spending a fortune. We consistently buy a range of televisions from high street chains, and regular deliveries from these retail giants mean that we have a constant stream of cheap TVs to provide to our valued customers. We always have an exciting array of fresh stock, with availability varying daily. This means that you will always find an amazing selection of the latest televisions at cheap prices right here on our website. Our cheap LCD TVs and cheap LED televisions are available in a wide range of sizes – from 19 inches through to 65 inches – so we're sure we’ll be able to provide the right option for you and your home. Whatever your needs, we're also confident that we can provide a high-quality TV with stunning clarity to suit your exact budget. We stock some of the cheapest TVs you will find on the market and pride ourselves on our cost-effective service. When it comes to choosing the right TV for your home, there are many variables you need to take into consideration. Here at Electronic World, we stock a wide range of TVs which are perfect, no matter what your requirements are. Our cheap 4K TVs are fantastic if you’re looking for a fully immersive viewing experience; if you love watching the latest shows in the highest-quality, then 4K is for you. A cheap curved TV from Electronic World is an ideal solution for living rooms where you are not able to sit directly in front of the TV due to its quality of image depth. Curved TVs also come with 4K capabilities built in as standard, so you can rest assured that you’ll get all the benefits a 4K TV brings. If you are in the market for a great TV for the whole family, our range of cheap 3D TVs could be exactly what you’re looking for. With most models coming with 4K capabilities, and the added 3D feature on selected films and TV shows, this TV is a perfect allrounder for the entire family. We strive to stock the very latest in TV tech, and our 8K TV deals are some of the best on the market. Whilst 8K TVs are still relatively new, we are constantly updating our catalogue of products, so be sure to check in often to get yourself a fantastic deal on the most advanced TVs available today.